Whoa! Where did that come from??? 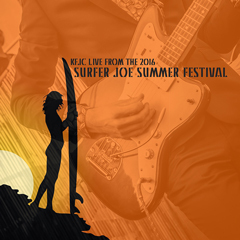 In June of 2016, KFJC travelled to Livorno, Italy to one of the largest surf music festivals in the world. The location next to the Mediterranean Sea makes this outdoor venue a stunning destination for surf fans and bands from Europe, North and South America as well as Japan.